Uncontrolled anger can be devastating, yet many people with serious anger issues don't know how to change their behavior. 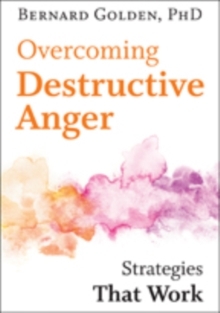 In Overcoming Destructive Anger, psychologist Bernard Golden, an anger management specialist, offers concrete tools for turning destructive anger into healthy anger. Dr. Golden draws on both compassion-focused therapy-a model for change that encompasses and expands on cognitive behavioral therapy, mindfulness, and practices in compassion and self-compassion-and theories of emotional intelligence. 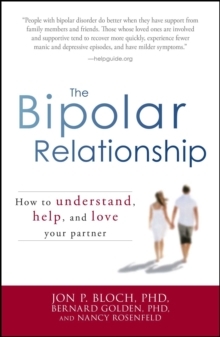 He teaches readers to recognize, sit with, and move beyond the triggers that cause destructive anger. Anger logs and other exercises, together with stories of people who were challenged by anger and able to overcome their outbursts, allow readers to explore the source of their anger and recognize its destructive potential. Emphasizing anger's link to habits of thinking, feeling, and physical reactions, Dr. Golden offers multiple strategies for coping with current hurts as well as past wounds. And he directs readers to helpful websites, books, and films. Dr. Golden explains why destructive anger happens and how it can contribute to divorce, estranged families, job loss, addictions, and even imprisonment. 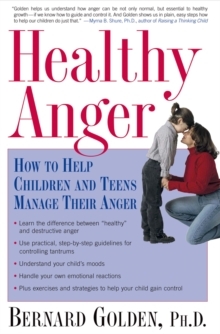 Emphasizing the importance of making calm, constructive choices and cultivating self-empathy, this guide will free people with destructive anger-and those around them-to live more fulfilling lives.